I love tulips. I have a big patch of these perennial bulbs in my front garden bed and they are gorgeous. They don’t last long but the show that they put on is just incredible for a few short weeks. Today’s featured flower is the Red Emperor Tulip. Emperor tulips are old hybrids, but have been one of US gardeners favorites from the beginning days of gardening. 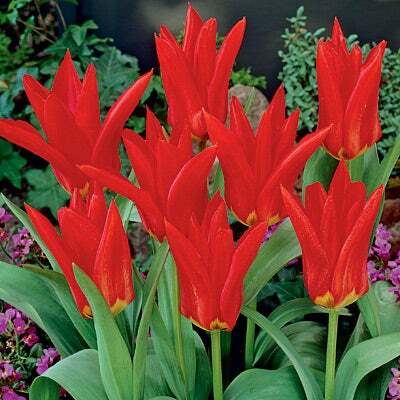 No tulip display would be complete without Red Emperors. And if you’ve never planted them, you’re in for a real treat. It grows in all light conditions from half shade to full sun. Grows in zones 3 to 8 as a perennial. When and How do you thin out tulips?